Leonard Nimoy was born on March 26, 1931, in Boston, Massachusetts. He began theater acting in 1939, and acted in several movies before enlisting in the U.S. Army on December 3, 1953. 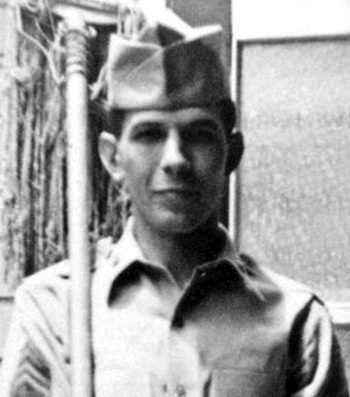 While in the Army, Staff Sergeant Nimoy served in the Special Services Corps at Fort Ord, California; Fort Benning, Georgia; and Fort McPherson, Georgia; before receiving an honorable discharge on November 23, 1955. During this time he toured Army posts to entertain the troops, as well as doing shows at colleges to help with Army recruiting. After leaving the Army he acted in many movies and television shows, but he is best known for his role as Spock on the television show Star Trek from 1966 to 1969, and in multiple Star Trek movies made between 1979 and 2013. Leonard Nimoy died on February 27, 2015.